David’s Heating and Cooling, locally owned and operated by Bolivar residents David and Anita Alexander, is your one-stop source for climate control and more. Whether it’s just a checkup you need, or a whole new system, David or a member of his experienced team will be there on time with a solution that fits your problem and your budget. If your air conditioner turns into a Roman candle on the Fourth of July, or your heat pump freezes to death on New Year’s Eve – don’t worry! 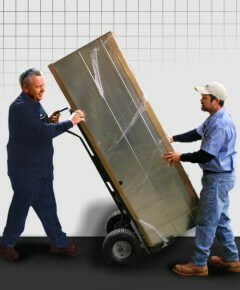 We offer 24-hour service, with many systems in stock and ready to install. Planning a new home, or an energy-friendly remodel? Leave the climate control to us – we offer heat load calculation, design, fabrication and installation of ductwork, and, of course, sales and installation of all types of systems, ranging from mobile home units to 5-ton heat pumps. Anywhere around Bolivar, Buffalo, or Stockton – summer or winter, day or night – call David’s Heating and Cooling for service you can depend on! North American Technology Excellence certification is the gold standard of the HVAC industry. Owner David Alexander has completed all of NATE’s rigorous testing requirements, and the rest of the team is in the process of completing their own certifications. 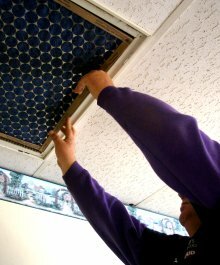 When you work with David’s Heating and Cooling, you can be sure of getting the best-qualified technicians in the area. Between federal tax credits, state tax credits, and utility rebates, choosing a high-efficiency heating and cooling system can make pretty compelling financial sense. But the savings don’t stop at tax time – you’ll be congratulating yourself every month for years to come when you open your utility bill. Green for the planet is great – green for your pocket is even better. When it comes to heating & air conditioning systems, an ounce of prevention is worth a pound of Freon. Installation of all types of LP gas appliances, including gas ranges, and dryers. Sales and installation of LP gas pipe for any application. David’s Heating and Cooling is the only Factory Authorized Dealer for Bryant in the entire 417 area code! Leave your money in the bank! With Synchrony Financing, you pay $0 down!! All you have to do is Apply, pick a payment plan that works best for you, and call us once you’ve been approved!